An unusual turn-based horror strategy game developed by Kitfox Games. 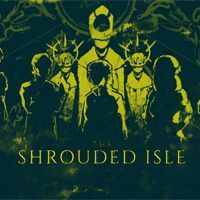 The action of The Shrouded Isle takes place in a remote town on an island that is cut off from the world. We assume the role of its mayor, and our task is to ensure the local population’s prosperity. The Shrouded Isle is an unusual horror-themed turn-based economic simulation strategy game for PC and SWITCH. It was developed by Kitfox Games, a Canadian studio that also created Moon Hunters. The Shrouded Isle offers an atmosphere of horror which rare in the economy simulation genre. The action takes place in a small town on an island that is cut off from the world. We assume the role of its mayor and our task is, quite traditionally, to ensure the population’s prosperity. The problem is that the town was built upon the resting place of vile ancient deities which, if left to themselves, will quickly awaken and devour everything in their way. To prevent such scenario, the townspeople established a secret tradition: to satisfy the hunger of the gods, four times a year, they choose one person from among themselves to be sacrificed. In The Shrouded Isle for PC and SWITCH, our basic responsibilities resemble those from classical economy simulation strategy games. Therefore, we have to properly balance four factors that ensure the town’s survival: food, shelters, faith, and secrecy so that the secret of the bloody cult is never revealed to the outside world. All of the above is played on a relatively small scale and in the text form. We cannot, for example, build new homes, while the town we govern will never transform into grand metropolis. Instead of thinking about development, we mostly focus on desperate attempts to keep what we already have. The gameplay takes place in turns that correspond to seasons. In each one, our responsibility is to assign tasks to the selected townsfolk from five influential families to increase the abovementioned factors. Elements such as a family’s wealth and members, including the abilities and personalities of the latter, are generated procedurally. Thanks to this, we will have to deal with a different balance of power at every playthrough. The said families constantly compete. Should we omit one of them in particular, they will eventually rebel. As each season comes, the player has to make a human sacrifice since only this can postpone the awakening of the ancient deities. When the time comes, we have to choose a representative of one of the families and let them die for the good of the entire population. This decision usually bears important effects because it changes the balance of power between families. The one that offered a sacrifice is also less effective at performing assigned tasks. All of the above boils down to one fact: In Shrouded Isle, we cannot win. The plot, the atmosphere, random events, and the unforgiving gameplay mechanics only let the player postpone the ultimate failure. The Shrouded Isle offers very unusual graphics. It is entirely two-dimensional and features stylized character and level design that somewhat resemble Darkest Dungeon. Moreover, the visuals are bathed in rotten yellow and green which effectively emphasises the disturbing ambience of the game.